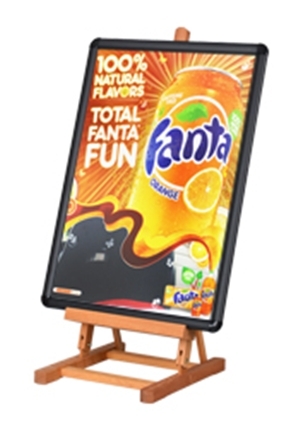 These Table Top Easels are Perfect for Retail, Office or Home Use! 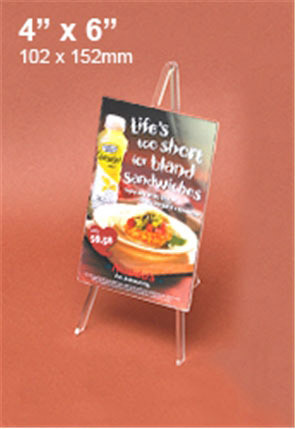 Table Top Easels Include Different Acrylic Easels to Place Signs & Photos In! 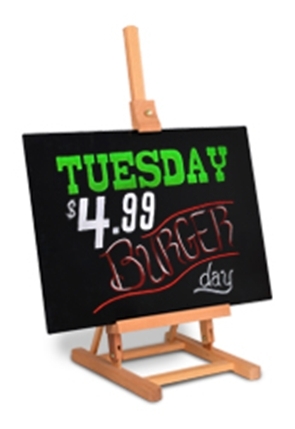 Table top easels make it easy to place signage on your counters in an eye-catching fashion. 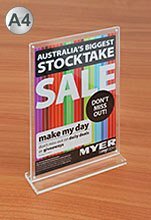 The unique clear acrylic easels are a great way to draw attention from visitors in a stylish fashion that will surely work with nearly any décor. 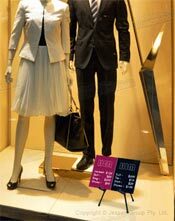 The various types of displays we offer have different sizes & styles to fit in with nearly any environment with ease. 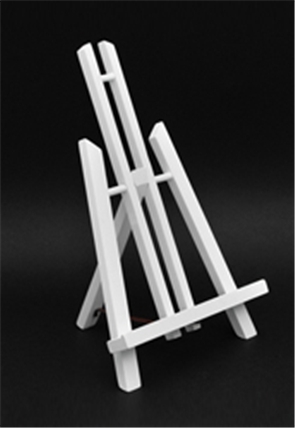 These sign holder stands, table top easels can hold different sign sizes depending on which you purchase, please check individual product pages to learn more. 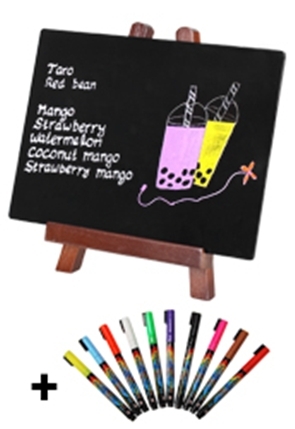 Whether for retail stores, bakeries, cafes, exhibition halls, doctor offices, homes, restaurants, pubs, clubs, or even art galleries, the different table top easels make it easy to present information or artwork in an intriguing fashion to help draw in potential customers! 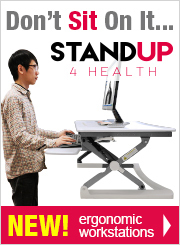 What are the clear acrylic easels? 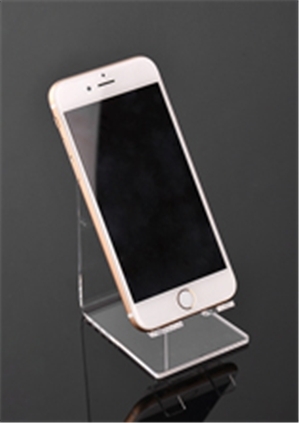 These art holders are a good stand that utilises 2.5mm thick clear plastic to create a holder that is able to hold your custom graphics to easily be seen. This holder ensures that graphics remain clean whilst on display, protected from gathering grime & dust to maintain a professional looking stand. 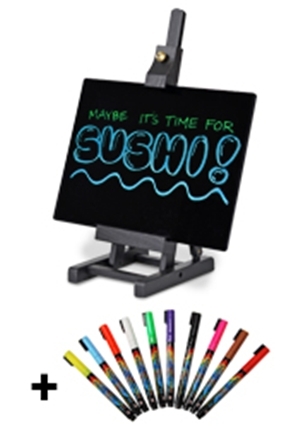 Featuring an adjustable back leg, each easel sign stand allows you to easily change the angle the frame is displayed at in order to best fit in with your needs and the height of your desk, counter, or table. 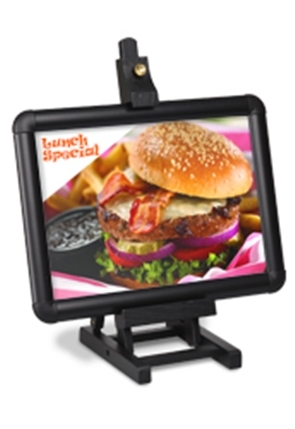 The slide-in design of the easel makes it easy to switch out your pictures as well, with no tools and less than one minute needed to completely change out the graphics! There are different sizes of these clear acrylic easel to choose from, with popular sizes 3-1/2" x 5", 4" x 6", & 5" x 7" available to purchase. 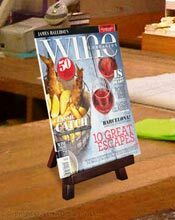 Each easel is able to hold either landscape or portrait graphics, with each page outlining which format is able to be used with that stand. 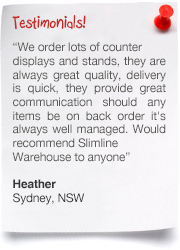 The different sale sign holders are great for placing next to products with price & specs information in technology store to let customers make informed decisions, and give employee's talking points whilst discussing the benefits of products. 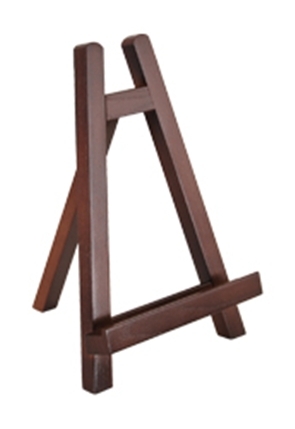 There are also wooden & metal countertop easel stands to choose from that allow different items to easily be placed onto each for an eye-catching way of placing cards on table for banquets, photos on desks at offices, and even descriptions of goods at bakeries so customers can know what delicacies they are looking at through the glass case. Different finishes on the displays include white, mahogany, & black, each able to add a professional looking stand to any location. 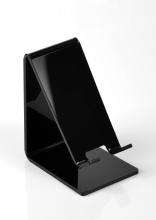 These stands offer different styles with each, with the mahogany stand being a standard A-frame look, with a lip on the bottom rail that helps to prevent graphics from sliding off. 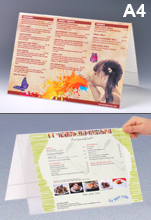 There is also a classic white display, also featuring a lip to help keep your graphics in place. 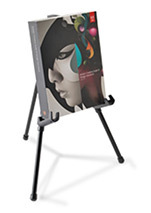 For a slightly more stylish look, the wooden easel with the black finish, while also including the lip to keep graphics from sliding has an adjustable grip on the top to clamp down on graphics to secure them in place. 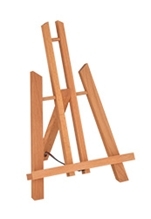 There is also decorative gold hardware, as this mini-easel is a true representation of a larger version that looks great in art galleries or studios. 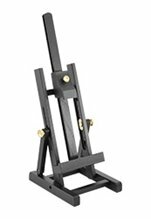 For a simpler design, the metallic tripod offers an easy to adjust stand, with the arms moving up and down the front two legs to adjust to best fit the different sizes of graphics you may place on the stand. 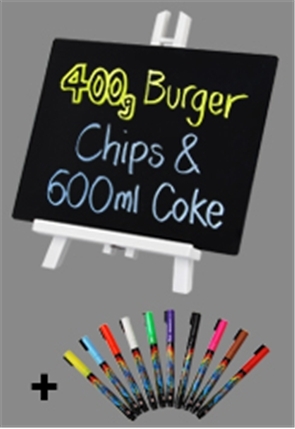 There are many options in how you place graphics around your location, and in order to stand out from the crowd utilising one of these great art easel stands will surely help garner attention from passersby in your store! 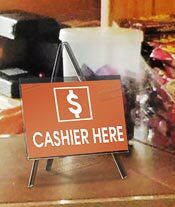 There are many different sign holder stands available now to place posters all over your business in order to promote goods, services, merchandise, & promotions to visitors. 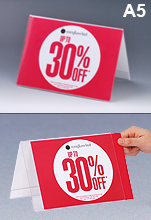 Our assortment of different promotional displays make it easy to find an appropriate use for your business, including a vast selection of counter-top displays that are perfect for placement around retail stores, restaurants, museums, and other shops to effectively inform the public of important upcoming events, sales prices, and more. 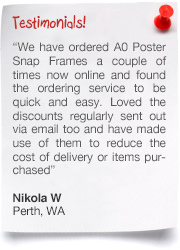 With both clear plastic displays & aluminium snap frames to choose from, utilising one of this style of products in your business is easier than ever before. 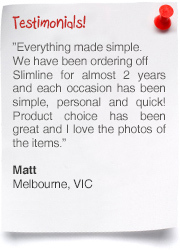 Click here to see our online catalogue full of hundreds of items in different categories that may be used to outfit your business in style without breaking the bank. 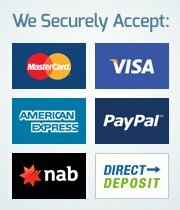 We have our products broken down by category to make browsing easier whilst you search out the best deals for products that will fit your needs. 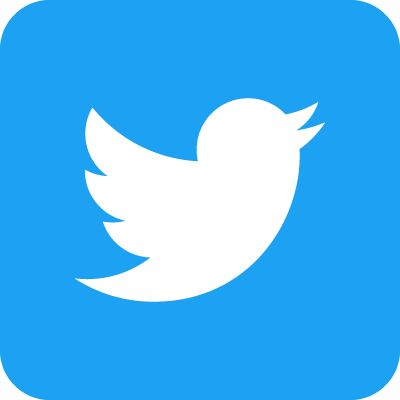 New items are added almost weekly in order to help your company stay ahead of the competition by using the latest trends, technologies, & styles to help draw attention in your business. 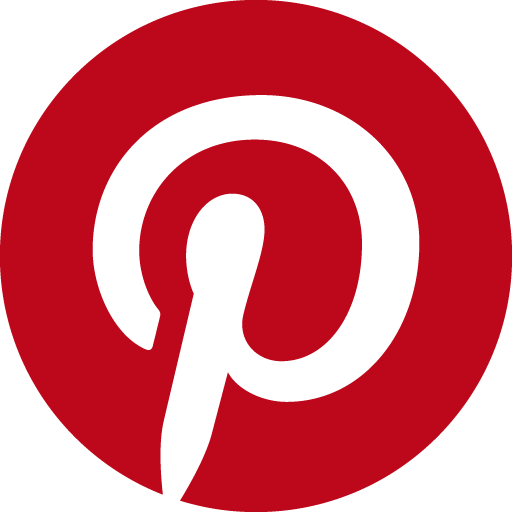 Check out every type of product we offer, including sidewalk signs, hospitality displays, menu holders, hanging hardware, stand offs, stanchions, screw caps, cafe banners, poster stands, business card holders, lecterns, donation boxes, brochure displays, magazine racks, iPad stands, and noticeboards. 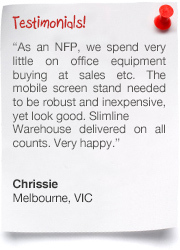 Find all the POP, POS, retail, & exhibition displays you need at Slimline Warehouse, providing Australia with high-quality goods at low prices for over 20 years! 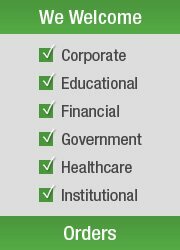 We source from vendors around the world to ensure our customers have a wide array of products, with our quality assurance team testing each item thoroughly in order to give our customers only long-lasting items. 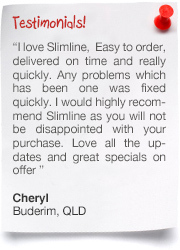 Same day despatch from our warehouse if offered with most in stock products that have been purchased by 1pm EST to anywhere in Australia, including Sydney, Canberra, Toowoomba, Hobart, Bendigo, Melbourne, Adelaide, Alice Springs, Perth, Darwin, Brisbane, Cairns, Gold Coast, & Newcastle!